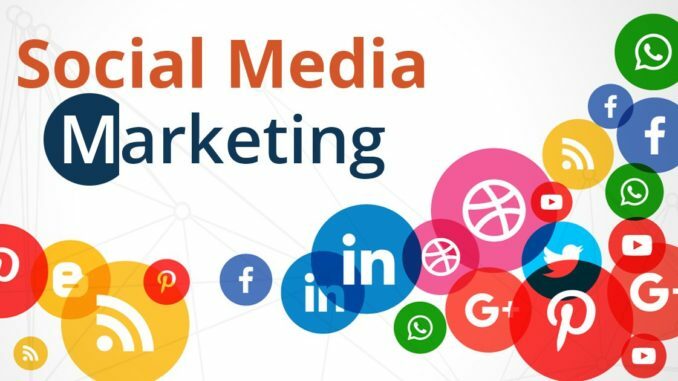 In the last few years, social media marketing has gone through a 180-degree turnaround. Most of the social media platforms have fittingly shifted their gears to paid models after offering free services for years together. In the face of Facebook and Instagram adopting the paid approach, with the former drastically cutting down its organic reach, and the later putting a period to chronological feeds, scaling social media engagement through the free medium is hardly possible these days. So, it comes as no surprise that companies have started increasing their social media marketing budget, significantly. But, now the question is, how much to earmark for your social media marketing campaigns in the wake of ever-increasing prices? Should it be at $100 or $1000? According to social media experts, there’s no ideal budget for social media campaigns. The needs and goals of businesses differ and so should their budgets. But then, no matter how much you spend, it’s more important to make sure that it’s worth the money spent. Companies, generally, tend to spend around 5% to 15% of their ROI on marketing. Of the budget earmarked for marketing, about 35% to 45% is spent on digital marketing. And, of that budget, about 15% to 25% is spent on social media marketing. As it turns out, social media spend can be measured. But then, first off, you need to find out for yourself as to what do you intend to accomplish through the various social media platforms. Should they be used for building brand loyalty? Or promoting offers? Or to increase customer engagement? Or, should they focus on lead generation and things like that. Whatever is the case, businesses need to identify their social media goals, plus define their KPIs to measure success. As you might already know, generating traffic and leads is the top-most marketing challenge of all companies. Miami Dolphins’ found a way out by making Facebook video an integral part of their lead generation strategy. Amazingly, their calculated gamble paid off. In 2017, the Dolphins was ranked #1 ranked NFL team for Facebook video views. The data gathered from their video likes, comments and shares were then used by the team to turn fans into ticket holders, for their future games. The result: In 2017, about 25 percent of new season ticket membership was from leads generated from engaging with social media content. This brought in more than $4 million in revenue for the team. Before spending on social media campaigns, it’s crucial to narrow down your target audience, and the right platforms to publish your ads. The good news: You can start posting an ad on Facebook and Instagram for just $5 per day, or, you could try running ads for $40 at a stretch and see whether these platforms are working for you or not. Once you have finalized the audience and the platform of your choice, make sure you come with some creative stuff and not just any regular stuff. Agreed, it takes time to produce creative stuff. But then, the time and money invested in creating creative stuff are worth it, as you are sure to see returns in the longer run. By all accounts, creative ads that connect with the audiences gain organic momentum and attracts more comments, likes, and shares. Nonetheless, avoid going overboard. Your creative content should strike a chord with the users. Further, test whether your ad is good enough to leave an impression on the visitors. For this, you can start by asking yourself, whether you’d like seeing similar ads in your own news feed. This is important because social media channels like Facebook are likely to go with advertisers that generate quality content in due course of time. In fact, Facebook helps an ad perform better if people are already enjoying the content and adding to its likes and shares. Sure, most of the social networks are only interested in minting money, but then, no matter what, they do factor in user engagement. And, for many, it’s their topmost priority. So, play safe. Come up with creative, high-quality content in your ads that enables higher user engagement. More to the point, creativity is not synonymous with high-cost. Try using free tools such as Unsplash for high-resolution photos and Canva for a quick graphics generation. Plus, there are some best branding agencies for creating amazing visuals at cost-effective rates. One of the best ways to stretch your social media budget is to make the most of the available content. For instance, you may have 10 different social media accounts, that is Facebook, YouTube, Instagram, Pinterest and more. Creating original videos and images for all these social media accounts would mean creating at least 10 to 15 pieces of content. So, imagine the kind of resources required to create content for all these platforms. Contrarily, if you create 2-3 pieces of “pillar content” and then break them down into multiple pieces for Facebook, YouTube, Instagram and more, it might just half your cost. Every brand dreams of having their Instagram post or a blog post going viral. On top of it, if there’s a media coverage about the same, it’s a nice icing on the cake. But then, as you know, fame’s lifespan is only of few seconds. So, before your post fades out from public memory, start producing more ads and videos. Okay, this would mean, pumping in more money and resources. Sure. But then, don’t you worry. This is the best time to pull out all the stops because you never know when you will have the next viral post in the making. So, make the most of it, today. There you go! Five incredible ways to do social media marketing on a budget. But then, do spend some on generating quality video content, as several social media sites such as Facebook are focussing on video content majorly. That’s about it! Now it’s your turn. Tell me, are you running any cost-effective social media campaigns? We’d like to hear your experiences.